The Harmony comes in at 7kW making it suited to the medium sized room - although it is worth noting that it can easily run at a lower output if required. 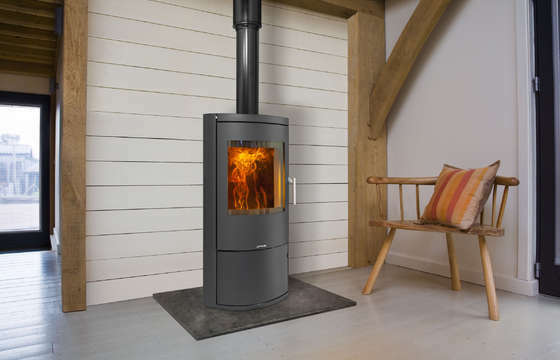 It is unusual to find a multi-fuel contemporary stove, but the Harmony is, allowing you to burn wood or coal. Options such as steel or glass door, log store or lower door allow you to pick the right version for you. The PR version sits on a pedestal and can be rotated as need or whim dictates - so that the fire can follow you. If you need further information or would like to enquire about purchasing this stove, please fill in the form below and we will get in touch. We use and store your contact details internally, but they are not passed to 3rd parties. Read more on our privacy page.